Join us this First Friday for a sock puppet workshop! Bring the kids and the young at heart! Check out the Calumet Township Mural Project in progress by one of our many talented local artists. Our weaving studio has examples of twining and loom weaving and the clay studio always contains works in progress. 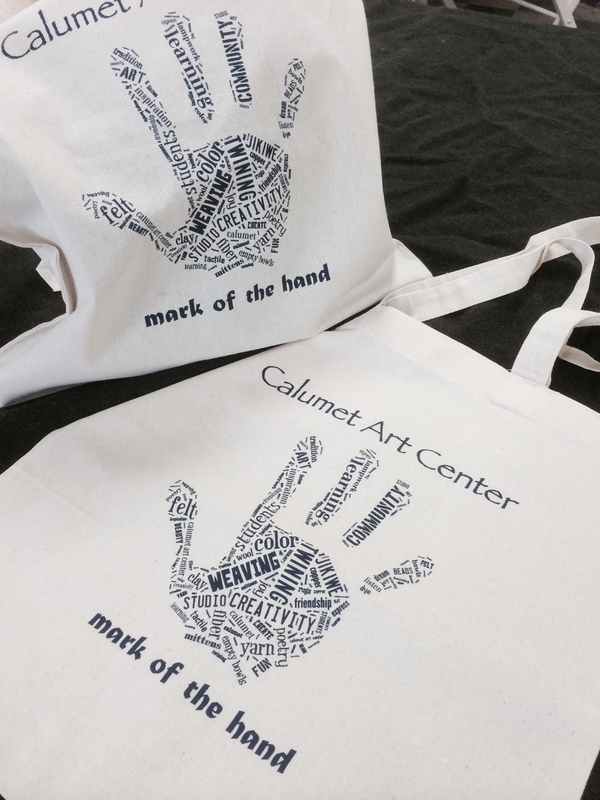 Donate $10 to the Calumet Art Center and receive a cotton tote bag with out new logo! Show your support for this awesome teaching facility. Learn to make, design and decorate clay tiles. Students can make up to ten tiles in singles or groups using their choice of imagery. Class Time: 5:30 – 7:30 p.m. The Calumet Art Center is now officially signed up with EconoFoods and their 1% grocery receipt program. If you shop at EconoFoods, please do save all your receipts — and gather them from friends and neighbors. We’ll have an envelop in the Art Center to amass the receipts. We thank EconoFoods for their generousity! 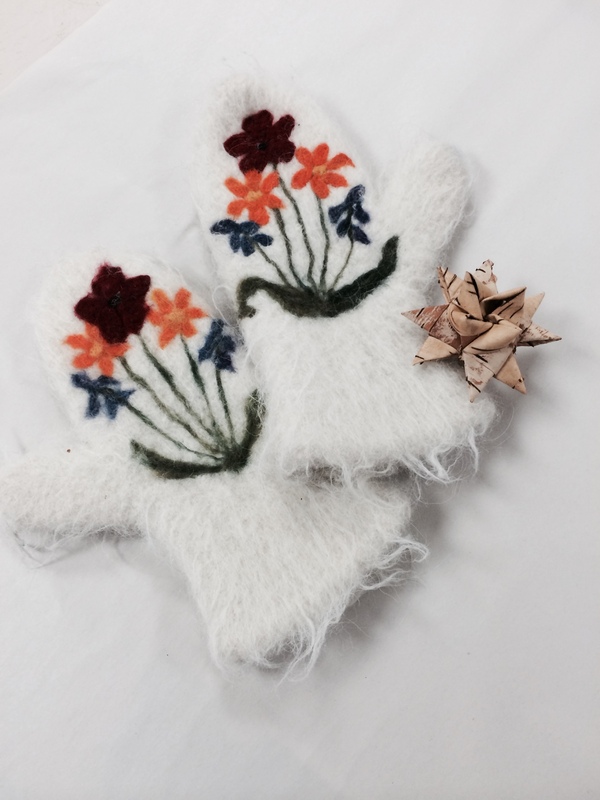 Karena Schmidt’s Felted Mitten Class Starts January 22! There is still time to sign up! Check out our classes page for more information on this opportunity perfect for these Northern Nights! Ed will be starting his pitfire tomorrow at 9:00 a.m. He will be there throughout the day until it reaches 2100 degrees. It should be ready to cover between 6:00 & 7:00 p.m. and then go for three or four days. We are fortunate that Eve is once again offering this wonderful class! A quick and easy dye project – a great way to try a small taste of fiber dyeing. Have fun with colors..try different color combinations, enjoy a beautiful hand-dyed silk scarf. The class includes two scarves, but if times permits you can purchase another scarf for $5.50 to dye. Time: 10:00 – 12:00 A.M. Please note the correction regarding the firing fee!!! This class is Beginner to Advanced. Learn to apply several surface textures and what effects this creates with the use of alternative firing techniques. Class Times: 5:30 – 7:30 p.m.
For more information call the Calumet Art Center at (906)934-2228 or 281-3494.